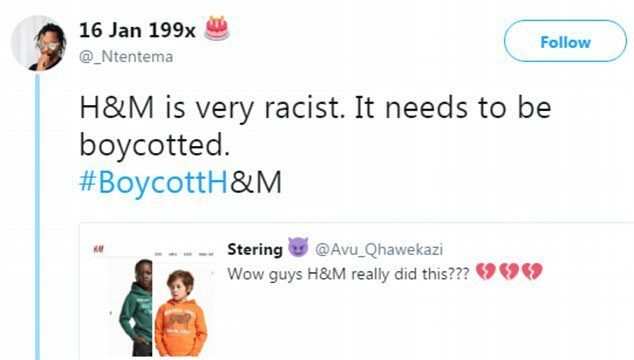 High street giant H&M has come under fire over a controversial advert for a children’s top which shoppers have labeled ‘racist‘. 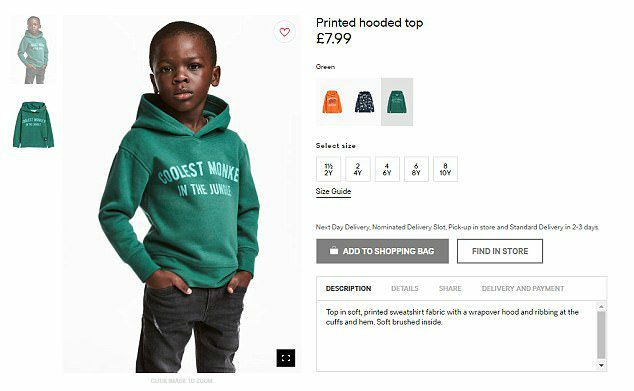 The image, which has since been taken down from a website in the wake of the uproar, shows a young boy modeling the £7.99 hooded top. 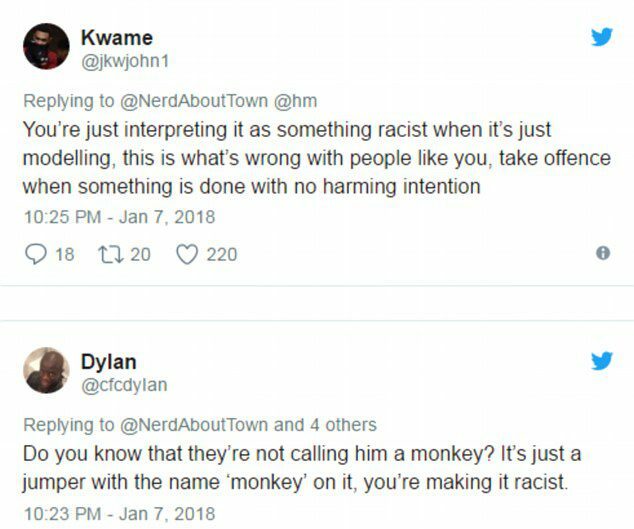 Even those who doubted the brand was being racist admitted there should have been more aware of how the image could be perceived. Poppy Lambert-Harden, from Brighton, was shopping with her mother when she discovered that her favorite outfits were in the boys’ section of her local store for the second year running. 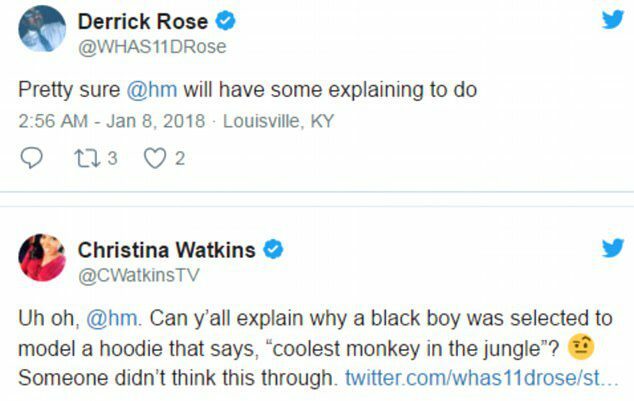 The observant five-year-old had the same problem last year and was forced to buy a skeleton costume from the boys’ section of the store after complaining girls’ costumes ‘weren’t very scary or cool’. 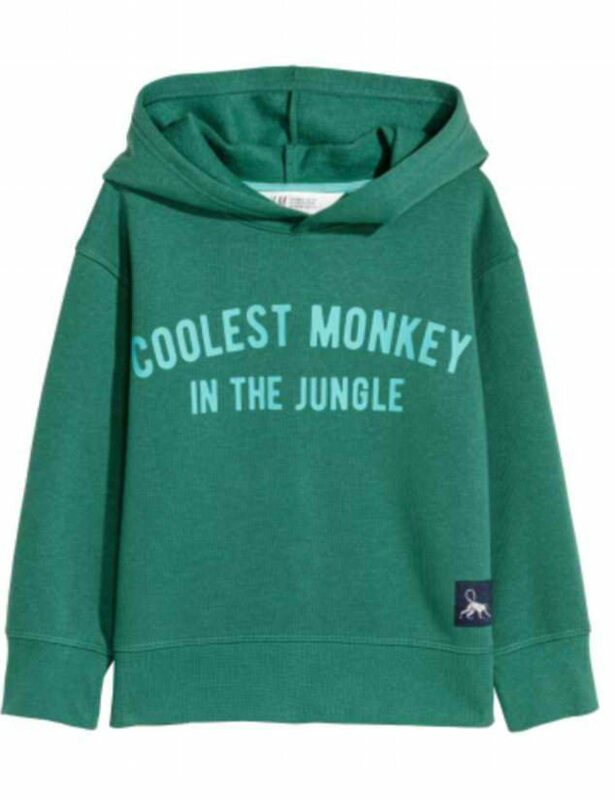 It has previously been suggested that a discrepancy between the UK and European sizing at H&M means that shoppers struggle to fit into their usual dress size at the store.